Did you know that with one simple upgrade you can significantly cut down your load times on PC and even Console? We are talking about shaving 15-30 seconds or more off of every loading screen, every system startup, every Alt-Tab. In open world games like Fallout 4, those seconds can literally save you hours over the lifespan of the game. If your load times feel sluggish, upgrading that old hard drive might be the kick your system needs to feel fast and agile. Why Should I Care About Updating My Hard Drive? The short answer is that more space means that you don’t bottleneck your computer by operating with a reduced cache and limited storage space. The gaming answer though is that hard disk speed plays a huge factor in loading games up as well as boot times. A fancy SSD will make a marginal difference in frames per second for most games (Although games that load a lot of information may have a faster FPS and less dramatic pop-ups). Yet a better hard drive will dramatically decrease load times. Until you upgrade to a fast hard disk, it’s hard to understand how much time is spent between areas on a loading screen just waiting. We created this guide because we find it common that gamers overlook the importance of a solid hard drive. This relatively cheap, easy to install part, may be behind the bottleneck in your system. Read on to see our favorite hard drives of 2019, sorted by type and purpose, followed by a tech breakdown on hard drives, what makes them tick, and what makes one hard drive better than another. If you have burning questions about the technical side of all this, we suggest you skip on down to the bottom and read our tech guide. That way you can make an informed decision and get as hyped as we are about SDD tech! Otherwise read up on our favorite hard drives of 2019! Our Top Selections for 2019! Note that having multiple hard drives is always recommended for both security and quality of gaming reasons. We recommend a traditional HDD for large-scale cheap storage solutions and then pairing that with an SSD to store the games and files that you use most. With those two working together, you’ll be gaming at super quick speeds and a never worry about running out of room. What type of hard drive is best for gaming? What is better SSD or HDD? Which Western Digital drive is best for gaming? Should I get a 2.5-inch or 3.5-inch model? Will my motherboards M.2 slot work? With the speed of an SSD with the latency of PCIe, the 970 Evo will give you the most bang for your buck and drastically decrease loading time from your drive. ​Samsung is the king of hard drives. The 970 EVO dethrones the previously reigning champ, the 860 PRO. That’s because this NVMe drive has the fastest speeds, best software, and fulfills every function a gamer could dream of. We love the speed of the 970 EVO. It’s just the fastest consumer level SSD. Ever. We can’t emphasize enough how much switching over the 970 will improve load times while editing Video or playing some old school Skyrim. Clocking in at 3,500MB/s, this is an insanely fast SSD. Practically speaking you may not notice the speed difference over the 860 EVO unless you are putting some heavy strain on your machine (Multi-tasking such as photography work) but this drive will run at full throttle under even the heaviest consumer level loads. Another perk is the warranty. SSD last a long time but they are finite like all storage solutions. Eventually an SSD will run out of writing room. Add to this that a few random occurrences can cause an SSD to stop functioning (Power Surge, rare manufacturing defects) and you’ll want to have some sort of insurance that your card will last. Five years is a very reasonable time for an SSD to last without any defects and still be covered by the manufacturer. You probably won’t need the warranty though because the endurance of the 970 EVO is legendary, this NVMe drive is obviously designed to bear a heavy load and kept cool and stable without any overheating. Despite the price, this is the best SSD money can buy and it does come with a 2TB option. That means enthusiast gamers can buy an SSD that replaces the traditional HDD as well. We say despite the price because if there is one flaw with the 970 EVO, it’s that it breaks the bank. It is expensive. But you pay the highest prices when you only want the best. Also, Unfortunately SSD are more of a utilitarian item these days so fancy LED lighting and unique looks are rare. The 970 EVO manages to look classy with a simple black layout and burnt orange writing, but it does lack RGB lighting for case enthusiasts. Finally Samsung always offers a free trial and even full version of the Samsung developed SSD software Samsung Magician. While using unique software on your SSD might seem random, Samsung is able to deliver solid driver updates as well as make the hardest part about upgrading hard drives far easier. Moving your OS to a different disk drive is challenging but with Samsung Magician, a few simple button presses get you started on cloning your old HDD and moving over. This process is quick and easy with Samsung but a pain with some other SSD providers. If you don't have an M2 slot or need something a bit cheaper, the 860 pro will give you much better performance than an HDD and will fit all standard motherboards. 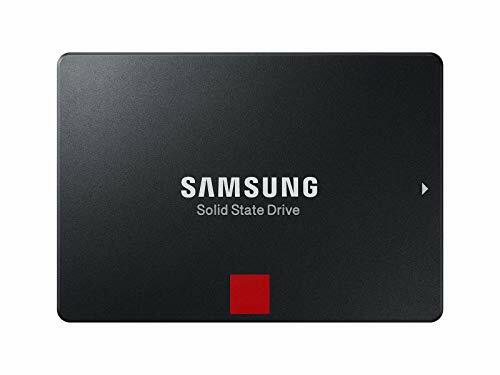 Once again, Samsung has gone to the bank with SSD technology and offers a premier line of traditional solid-state drives as well. Getting away from the M.2 format may keep you confined to SATA speeds but they are more than enough for anything a normal gamer will encounter. The most recent champion of the Samsung SSD production line is the 860 Pro. Even though NMVe models run circles around traditional SSDs, SATA is still incredible technology. The difference can be felt immediately when booting up your OS or playing storage intensive games like GTA V. A normal SSD easily buffs the speed of everything your desktop computer needs to do. Clocking in at 560mbs, the 860 is quick. Games load REALLY fast and Windows 10 tends to boot up in under ten seconds. In fact with this SSD, you can restart your computer, load up steam, and boot up CS:GO all in the time it takes a normal person to boot-up. In short, this SSD is fast, reliable, and improves your quality of life as a gamer quite a bit. Endurance is a huge factor as well in selecting this model. This SSD will last quite a while if maintained well since the 860 Pro comes with a 4800 TBW guarantee or 5-year limited warranty (Whichever comes first). You know you have a pretty good investment when they’ll guarantee the item for half a decade! What does guaranteed for 4800 TBW actually mean? 4800 TBW is an INSANE amount of reading and writing. That means installing 192,000 25GB games worth of data. That’s not even the point where this SSD will fail, it’s just the point at which the warranty is no longer enforced. Like most Samsung disk drives it comes with proprietary software Samsung Magician. This is a must if you want to clone your OS and migrate Windows to a new computer (You can’t just click and drag, and without special software, you’ll need to buy a new version). Samsung Magician also helps you monitor SSD health and update your firmware with a few button clicks, it’s powerful software and great and helping your SSD run at top speed. All in all one of the best SSDs on the market. If you aren't a fan of Samsung, Sandisk creates a rival SSD that has very similar performance and cost characteristics. Sandisk is known more for portable camera memory. When it comes to flash drives, SD cards, other forms of instant data storage, they’re top tier in the industry. 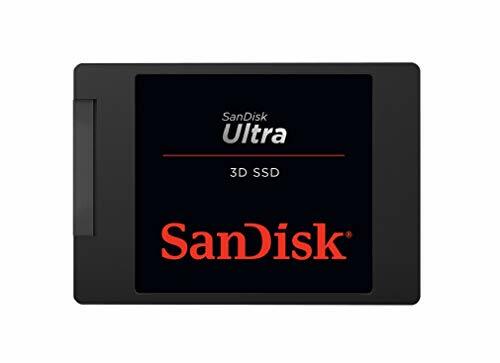 Since solid-state drives work in a similar manner to flash memory, Sandisk was positioned to become a natural provider of durable, high-quality, solid-state technology. The Ultra 3D is Sandisks answer to the 860 series from Samsung. This SSD comes in four different sizes so that you can use it as a simple upgrade for hosting important files and your OS or even buy a larger model for a mainline storage drive. Like all SSD, it is limited to the same speed as SATA because it isn’t using an M.2 port, but the speed increase is still intense compared to a traditional HDD. In fact GTA V cuts almost half a minute off of loading times with the Ultra 3D. The Ultra 3D fits into a very small frame like most SSD and you won’t need to worry about finding room for it. You’ll just want to make sure your case has a place for an SSD or purchase an external cage. As far as durability goes, Sandisk touts actual shock resistance. This is especially useful if you decide to put this in a laptop or don’t secure your SSD properly. Sometimes people install an SSD in cases that lack brackets, shock resistance helps keep that from being an issue. Sandisk has also developed a proprietary technology called nCache that helps buffer information faster than a traditional SSD. This gives the Ultra 3D an edge over most other SSD providers and makes sure that it’ll be near if not the fastest SSD available without changing to an NVMe format. All in all, the Ultra 3D is a solid choice for faster load times and storing data. If you don't have the budget to separate out your SSD and HDD, check out the combo SSHD from Seagate. ​Seagate is another premium manufacturer of HDDs and other storage solutions. They created the FireCuda specifically to focus on budget-minded gamers. Using an 8GB NAND Flash memory portion, this SSHD runs up to five times faster than a traditional HDD but doesn’t sacrifice space for that trade-off. By transferring information to the Flash memory, loading times are drastically increased, meaning less time waiting to explore your favorite open-world games. 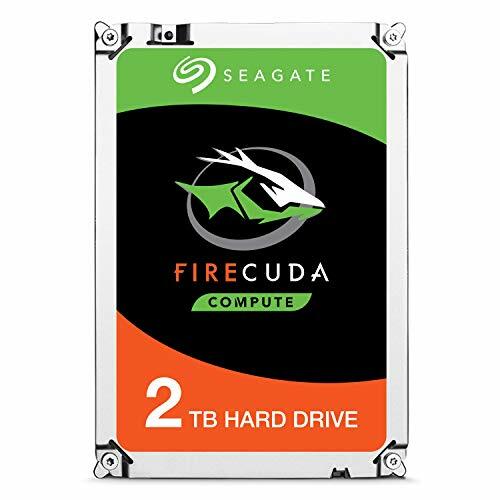 What makes this drive exceptional is the large capacity of the FireCuda series. In addition to running faster than a slow 7200 RPM drive, this SSHD can hold up to +80 25GB games. SSD cost a lot of money for a smaller amount of space so SSHD are the perfect compromise. As a main drive, this can be connected to consoles but you would need to buy a special dock as the 3.5-inch size and design lean toward a desktop computer storage solution. One of the downsides to SSHDs and HDD is that they are prone to breakage if moved too often while running. So as a console solution, a traditional SSD might feel a bit safer, but you can’t beat the added space and this will make even Xbox games load up faster (A common problem on consoles is the lack of speedy load times). We have an upgrade kit shown below in our console section if that is something you are looking for. Whether you need extra space for video or just want to have all your games accessible, this makes an incredible storage drive. Slightly smaller form factor with the same great performance, the WD Slim is great for that combo SSD/HDD in a single drive. 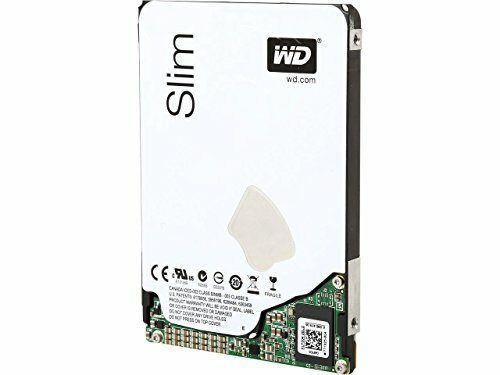 The design of the Solid-State Hybrid Drive has been pushed just a little bit further with this slim Western Digital model. Not only does this SSHD have an insanely small footprint, it gives all the benefits of an SSHD at this still tiny size. We love the small design because it can fit into a Macbook, Laptop, and reportedly even the PS4. Performance wise this little device will net you speeds up to five times faster than a traditional HDD. That’s a huge improvement over what most people have in the machine at home. Imagine booting up in seconds rather than minutes, loading up photos without waiting forever, editing video far faster than usual. With the small footprint though, you can boot this up on a console and actually shave some wait times off of PS4 and Xbox One games. This is great because they can take a notoriously long time to load some games. We are big fans of solid-state hybrid drives because they are large enough to be used as main disk drives but also have the added benefit of being a lot less expensive per Gb. For the performance increase that you’ll net over a traditional HDD, it’s just a no-brainer decision. This drive will solve any storage problems you have, run quick, and is affordable. NVMe is going to give you the best performance and Samsung is the best manufacturer of the current generation. If you need the best of the best, this is your drive. This drive was the fastest, most reliable, and best value overall for the traditional gamer. You can find it right here at the beginning of our article. With a slightly better price tag and similar performance, the NVMe drive from WD black is an OK alternative to the Samsung. Western Digital is known as one of the best providers of hard disks in the industry so don’t be fooled by the barebones design of the WD Black NVMe SSD. Similar to the 970 EVO, WD has positioned themselves as a major competitor in the hard disk space and competes with the more well-known providers like Samsung. This SSD offers some of the fastest speeds on the market and like Samsung also offers great quality of service with a 5-year limited warranty. The WD NVMe has been inspected by WD F.I.T. labs and certified to work on a wide range of devices. This with all the various M.2 configurations, that is a really important factor to be aware of. On top of generally being the most compatible NVMe we’ve reviewed, the WD Black is insanely power efficient. Taking up only 2.5mW, this card uses barely any electricity. That’s a good thing if you’re already running a large GPU and trying to balance your power supply. It’s also great for mobile gaming setups using unique configurations like a Mini-ATX board. Those setups often have stricter power requirements just due to size. WD like most SSD providers also offer software that allows you to monitor, update, and use your SSD to the best of its ability. One of the highlights of Acronis True Image, besides being free, is that it easily allows the cloning of a hard drive. Once again, this is a necessary SSD feature that shouldn’t be overlooked as cloning a hard drive is incredibly important for any OS switches. With a few button presses you can copy your OS to the new hard disk. Without good cloning software you can lose data and at worst be required to purchase another copy of windows. So don’t undervalue SSD software! All in all, this is the best competitor to the 970 EVO you’ll find. We have to note that a general HDD is great but you won’t notice a large performance difference or unique features over any other everyday HDD. They are by far the cheapest options for large-scale storage though. Our best HDDs are a great value for space and fantastic for expanding your storage room but we recommend throwing an SSD into the mix if you want to cut down on load times. Western Digital is our go-to for HDDs. You want to use a big drive for all your data files and use an SSD or NVMe drive for your OS and gaming files. 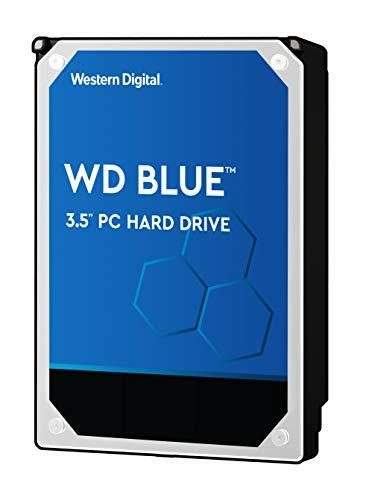 Western Digital is known more for traditional HDD and one of the name brand HDD providers throughout the world. The WD Blue is a classic model. Top of the line HDD specs, 7,200rpm, as big a cache as you need, and a large variety of different sizes. The HDD hasn’t changed much in over a decade because the technology is about as good as it’ll get without changing form factors. Where Western Digital really starts to cater to the consumer in new and unique ways is through several different forms of software that they use to do everything from minimize noise to monitoring the health of your HDD. Intelliseek is great because it can help cut down that noisy whirring that hard drives are known for, and as an added bonus it helps lower power consumption. NoTouch Ramp Load Technology is a bit technical but basically it helps keep your HDD from breaking with minor bumps and hits (Trust us that spinning a magnetic disk at 7,200rpm can be a bit dangerous if you desktop shifts or falls over). At 3.5-inches, the WD Blue clocks in at standard size and comes with a modest 2-year warranty. Really HDD start to become prone to failure after five years so a 2-year warranty is more than enough to make sure you have a decent operating product. We recommend at this price point shooting for 2TB because traditional HDD are by far the cheapest option and allow a large amount of long-term storage for cheap. If you are deleting stuff to make room on a regular basis, just stop and pick one of these up. Complimenting your WD Blue with an SSD will help you make huge performance improvements as well. If you aren't going with the WD drives at #1, the Seagate drives have similar characteristics at a slightly better price point. Seagate much like Western Digital produces some of the most well-known 7200rpm, 64MB cache, traditional HDDs. What makes this HDD really stand out from the pack though is the sheer variety in capacity options. Anything above 4TB is almost unimaginable for an everyday gamer but for those who do heavy video projects or need RAID protection, the BarraCuda is the best option. You will probably never fill a 12TB hard drive up in the next decade purely gaming, but as a media enthusiast, that’s actually quite possible. Seagate even offers a 3-year warranty which is pretty generous for a traditional HDD. RAID is one of the most effective methods for keeping information secure and lossless, but it halves the amount of space you have. That’s why large-scale HDDs are some of the best options for RAID. So why the BarraCuda? Several reasons, for instance one of the best perks of the BarraCuda is SED or the Self-Encrypting Drive technology. SED allows you to protect your data with top quality encryption. These days security is often prioritized more on the software side (Passwords) but a break-in or misplaced laptop can expose you to terrible security problems. With SED you can prevent that and even lock your HDD with a code. Another great feature is Instant Secure Erase. If you have an Enterprise business, that makes retiring old drives simple and secure. Most users fail to realize that HDDs have recoverable information without a secure erase (Whereby the drive is cleared and then the information is rewritten). Using algorithms to sift through erased data, someone can still find information you thought you erased. We recommend picking up a larger storage HDD and complimenting it with an additional SSD for your OS and some speedy quick load times. The 2TB drive BarraCuda should be more than enough for most gaming related tasks and is relatively affordable as well. Since recent console updates have allowed PS4 and Xbox to use external drives, an internal hard disk drive isn’t necessarily the easiest solution. 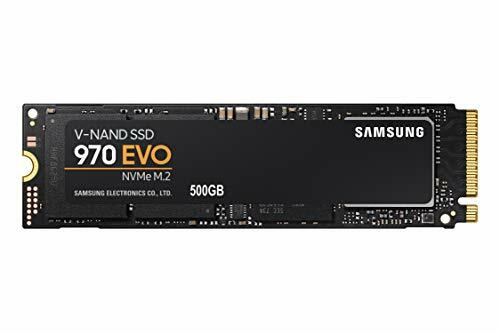 Still you can’t beat the price and speed if you can get any of these non-NVMe storage solutions connected up to your console. We recommend the 2TB FireCuda SSHD if you are serious about storage solutions, but several manufacturers make proprietary solutions as well! 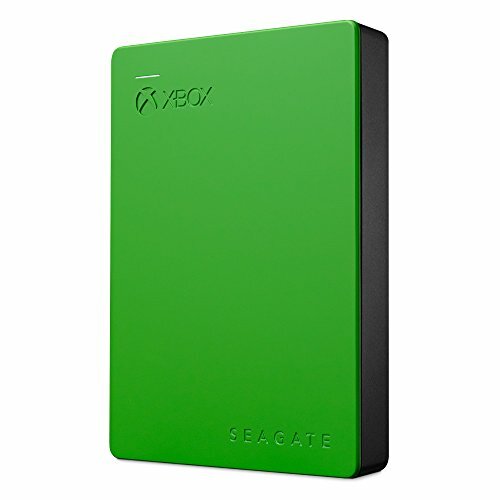 Larger sizes than the default and easy portable design is great if you need to upgrade your Xbox One storage. One huge drawback to modern consoles is that they usually ship with a rather limited HDD. In fact, it’s not uncommon to fill up the storage space on your console quite faster than you plan to. This is primarily because games have gotten massive and console save files, profiles, and settings can take up a ton of space. Seagate swoops in with an elegant long-term storage solution that best of all works with just a USB connection. With this drive, you can literally download up to hundreds of Xbox One games and never worry about switching back and forth with your library again. Add to this the incredible fact that you can visit a friends house and load up save files and games on the go. It’s a win-win for gamers. Unfortunately adding a traditional USB based HDD to your console setup won’t make your games load faster. In fact USB is slower than SATA. On the bright side though, some gamers can’t install a full game and end up running off of a gaming disk which is inevitably slower than using the onboard Xbox storage space or an alternate storage solution. Also this runs at 5400rpm, another concession for the vast amount of information you can store at this price. Overall though, if you are having trouble fitting everything you want onto your Xbox One, this is a solid choice and you might notice a large speed improvement by virtue of running off an HDD instead of Game Disk! Upgrade your PS4 to an SSHD to get superior performance from the extra NAND flash inside. Can work with modern PS4 editions and even the PS3! Having a PS4 can be a bit frustrating, especially for PC gamers who are used to upgrading their rig whenever they want. The PS4 has come along way since first being released with OS improvements that now make using a hard drive quite a bit easier (USB connectivity and all). For those who want a permanent solution that will make your games run and load a lot faster though, the Fantom Drives Upgrade Kit is exactly what you are looking for. Whether you want a new SSD or as we recommend, the FireCuda, upgrading is quick, easy, and effective! We are big fans of the 5-year warranty, especially because the recent announcements from Sony show they plan to phase the PS4 out around two years from now. A purchase of this SSHD can be retrofitted to a new console, a desktop computer, or for long-term storage, so that warranty will really be useful even after the PS4 has come and gone. SSHD also run up to five times faster than traditional HDD so unlike a simple USB solution, a full-on SSHD installation might make a noticeable gaming speed improvement. This is one of the best options you’ll have and this drive will still be useful for years to come! Unlike a GPU with thousands of CUDA cores and hundreds of unique graphical technologies, or a Motherboard which has numerous compatibility questions and functions, hard drives are fairly simple in features and scope. This tech section here will walk you through the differences between hard drive form factors as well as what aspects of the technology matter. Hard drives were originally only used in the gaming world to store games, and as the demand of modern AAA Titles has grown, games have gone from fitting on 1.4Mb Floppy Disks to now requiring upwards of 45Gb. This insanity in size is destined to keep growing as hard drives get bigger, faster, and require less compression. Not only have hard drives changed in size, the technology behind them has dramatically changed as well. That means the technical aspects of pulling up data can a be bit more demanding than a decade ago. What most gamers don’t know is that your hard drive may be the bottleneck for your system performance. Upgrading to a newer technology will help you shave minutes off of load times for several modern games (PUBG being a common offender). Games like GTA V can take over a minute or two to load up just between different areas. A fast hard drive can save you hours of waiting in those large open world Bethesda games. It can be a lifesaver in CSGO if you experience sudden computer crashes because within a few seconds, you can restart the computer, boot up a game, and be back playing. It can help you hop right into the action quickly after a sudden death. Keep this in mind as we discuss hard drives and ask yourself, is my HDD too slow? Since they are a bit simpler than other technologies, there aren’t a lot of variables that will dramatically change your experience. We find these are the most necessary aspects of storage drives to understand. Every drive is rated to store a different amount of information. Most drives will range from 120Gb to as many as 4Tb. As a rule of thumb 1Tb is good for a main drive. Make sure your SSD has at least 120Gb and prepare to get an additional HDD to compliment it. We recommend gamers never go below 1Tb overall on a system because games just require a lot of space. The cache used to be quite important but not a huge concern for a modern HDD. Basically the cache stores information from the HDD that is currently in use. Similar to a Youtube video buffering so that it doesn’t immediately stop as you watch, the cache starts hoarding the most used information until it is needed. This helps with multitasking and making things load faster. You can imagine it like a tray that holds several objects, when the tray gets full, you need to drop an object to take on any new objects. In practice this means shooting for about 64MB for a modern HDD. SSDs do not need a cache in the same way but SSHD utilize the cache for speed especially well. The difference in speeds is rarely the fault of the cache though. Since SSD don’t have physical disks, this only matters for SSHD and HDD. Rpm matters most for traditional HDD. Try to always get one at 7,200rpm as that is the sweet spot. Lower feels slow and higher can make your HDD prone to failure. This is more important for SSD choices but software can make or break your experience. Make sure you have good monitoring software for keeping your drive healthy and a good cloning program for migrating your OS. This should come free from most vendors. A lack of software is not a good sign as most brands will offer them. 2.5-inch and 3.5-inch are standard. As a rule of thumb, 2.5-inch fits laptops and most SSD come in this size while 3.5-inch is for HDD and pretty bulky. Despite it being a “1-inch” difference, the size difference is pretty large in reality. HDD use physical movements to read memory and as such will eventually wear out. SSD will wear out after writing enough information. Both are designed to last more than five years if not decades but there is added security in having some durability guarantees with your disk drive. Shoot for a good warranty or a sturdy drive. This is a specialized process whereby using multiple disk drives you can ensure that your information will remain safe in the event of a crash. Most gamers don’t need to worry about this but it is nice if you have sensitive data on your desktop computer or use an HDD for business. Some of the drives on our list work especially well with RAID. This is the speed at which the disk drive sends information to the computer, reads information, and writes information. Your disk drive type will likely be the biggest factor in dictating this. The type of hard drive is very important as we explain below. Personal hard drives come in three different form factors today and that drastically affects how they perform as well as price. There are other forms of data storage as well such as tape-based drives but gamers only need to care about these three. The most basic is a traditional hard disk drive (HDD). This internal PC component comes in two different physical sizes, 2.5 and 3.5. You want to confirm that the desktop case or console you are using can handle the size of the HDD. A normal hard disk drive works by spinning a mechanical disk at a high speed and magnetizing the different spots on the disk, the mechanical nature of traditional HDDs means that they are a bit more prone to failure and significantly slower overall. The tradeoff is that they are not only far cheaper but are able to store a larger amount of data than an SSD. If you measure price per Gb of storage room, an HDD will universally be cheaper than an SSD. The physical aspect of the HDD is very important as it can wear out like any electronic component and also needs to be occasionally defragmented which we explain below. The newer and far superior device making the rounds today is the solid-state drive. Most people are actually users of SSD and don’t realize it (USB thumbsticks are a similar technology). Basically an SSD runs without any mechanical parts and is thus a lot less prone to failure (No friction or wear on the device). SSD work by recording information on a chip and run at blazing fast speeds because without a physical motion involved, data transmission speeds are exceedingly fast. Solid-state drives are the best option for gamers but they tend to be expensive, that’s why we recommend having a larger storage drive and a quick OS/priority drive. SSD are far more sensitive to electrical spikes though so it is important to make sure your motherboard has risers installed and you take care to secure your power connectors. Non-Volatile Memory Express is a fancy word for newer forms of SSD that connect directly into the motherboard. By bypassing the traditional SATA setup, they increase speed to unseen of levels and offer all the benefits of a traditional SSD. Setup is a tad bit more complicated for NVMe drives but the benefit of having the fastest possible storage solution makes the steep learning curve worth it. NVMe slot into a specific spot on motherboards referred to as the M.2 slot. Most modern motherboards have an M.2 slot but they vary in design as well so make sure to pick up a compatible piece. Since solid-state technology is so much faster than a traditional HDD but more expensive, a hybrid option is available. Basically a larger, cheaper, traditional hard drive shares space with a solid-state core/cache. This section can be small enough to make the drive work faster or even large enough to store significant files and the OS. Solid-State Hybrid Drives are the best compromise between price and performance. Not only are they reliable and cheaper than a standard SSD, they are up to 5 times faster than traditional 7200 rpm desktop drives. Generally, the faster the better when it comes to hard drives. If your motherboard (and wallet) can support an M.2 drive, go with the Evo 970 as it will give you the best performance due to the advanced NVMe technology. If need a ton of space (think Terabytes), it might be worth getting a fast expensive drive for your OS and games and a slower HDD drive for the things you don't need to be fast (like opening word documents). SSD universally come in a very small package and can act as both an external and internal device. How is that? An SSD connects using SATA. A SATA connection is usually not readily available outside of a computer case but occasionally can be. Most SATA ports are directly on the motherboard but occasionally a laptop may have a direct SATA port, or a motherboard have one designed to stick out from the back of a case. Because of this, a normal drive can often be used externally but there is one caveat. SSD require a power source and generally are connected into your desktop or laptop power supply. It’s best to use them internally, not required, but by far the easiest way. Some choose to use external power supplies and cages to house external SSD though. SSD for speed, HDD for space. Technology is advancing pretty fast right now and the SSD sizes are getting pretty big. I would get an SSD if possible and buy the right size even if it is a bit more expensve than the HDDs. If you are locked into WD, we recommend the WD Black (NVMe Drive). It will perform almost as well as the NVMe from Samsung and fits the same M.2 connection on the motherboard. If you don't have space in your wallet for that, go with the SSHD drive here. Measured in inches, drives have two different sizes. You can think of them as being laptop or desktop sized. While 2.5-inch drives are often reserved for laptops they function exactly the same as 3.5-inch models. If you find a great 2.5-inch option, go ahead and pick it up for a desktop. Just make sure your case has the proper brackets to mount it within your case or purchase a 2.5-inch bracket. Realistically SATA is designed to send around 600Gbps (That’s A LOT!) but even SATA has finally hit the bottleneck. Most SSD drives will struggle to live up to the true potential unless they are in the NVMe format. The NVMe format or Non-Volatile Memory Express works in a similar manner to RAM and is insanely fast. Currently the solution to the SATA problem is to use M.2 slots or a PCIe expansion slot. Many motherboards lack these if they are even just a couple of years old, so it’s not feasible for everyone. The M.2 slot is by far the fastest, and one day the tech industry will convert to more standardized SFF-8639 connections that feature all the required pieces for a fast SSD experience. Realistically for most setups, this won’t affect gaming speed or boot up speed dramatically anymore than an SSD, but a large load (Such as the loading times between screens with Fallout 4) could be lowered significantly (From 30 seconds to around 4 seconds). Using an M.2 slot instead of SATA can transfer data from 50% to 650% faster depending on the hardware. Using M.2 is a little more complex than most plug and play PC Hardware. Realistically you need to make sure that the card has the appropriate length and that the socket fits exactly. Motherboards differ so this isn’t something you should look at and judge, instead look at your motherboard manual or specifications and compare them to the NVMe slot you desire. It can save you a lot of heartache! This differs dramatically from user to user, as some will do more than gaming alone with a given hard drive. Streaming, video editing, photography, art and other such media-related hobbies use a significant amount of storage space so you can expect to need more. A normal user who does not game and does not “Create” anything other than basic Office documents rarely uses a terabyte. A gamer though who shifts between Fortnite, two AAA games, Dota 2, CS:GO, and Overwatch might find himself wanting even more space. Add to that those who install mods or other large items over games. To better gauge the amount of capacity you’ll need, here is a brief idea of how much space things use. 1 AAA Game – This varies tremendously but recent games such as AC:Origins and Far Cry 5 clock in around 45GB and 25GB respectively. 25GB is a good standard for a AAA title. Windows 10 – Windows tends to get updated once or quarter with a large update and regularly with small updates, sometimes this means Windows grows, other times it stays relatively the same. You can expect to use anywhere between 80GB – 120GB for windows in addition to any cache related needs (Such as temporary files). High-level Video – Video is one of the quickest ways to eat up storage space. Most media we consume has been downgraded to save on space, so when shooting high-quality footage, you may need a lot of space. Hours of footage will use many Gb it all depends on the resolution you shot in and the quality you uploaded to the PC. High-Quality Photography – 1 raw DSLR shot can be anywhere from 15-25mb. That may seem small, but just a couple hundred photographs will start taking up 20GB or 30Gb. It’s not uncommon for a long shoot to have quite a bit in addition to video footage. An average gamer will want at LEAST 1Tb and may find a need for 2Tb. A creative/gamer will definitely want 2 or 3Tb. We recommend 5Tb for professional creatives or an online cloud plan. The good news about buying a new HDD or SSD is that if you use it with an operating system, you won’t need to throw away the old one. Unlike most PC Components, the limit on disk drives is pretty high and most modern motherboards can handle four or more disk drives. Still, sometimes you want to move your old OS to a new hard drive. For this you’ll often need special cloning software as copying windows itself can’t just be done for legal reasons (Copying an OS is considered stealing). Cloning software though usually comes free with SSD vendors and legally copies your old Hard Drive files while deleted or nullifying the old copy of windows and migrating the OS to a new hard drive. This means two things, you don’t need to buy a new copy of windows every time you want an upgrade, and ideally the fastest hard drive should host the OS. Partitions are “Simulated” hard drives that require a bit more room but give more freedom to you as a user. Basically, a disk drive can be “Divided” into artificial disk drives. This is extremely useful for a variety of reasons, for instance multiple users may want to separate out files or a creative may want a large slow storage drive and a quick SSD for storing editing programs and photos. Windows comes with a quick partition creation program, just be careful not to delete anything important during the formatting process! What’s the difference between an Mb, Gb, and Tb? Data is stored on computers in small units called bits, these add up to bytes. 1000 bytes becomes a Kilobyte, 1000 Kb becomes a Megabyte, and so on. Generally 1Tb (Roughly 1000 Gigabytes) is enough for a lot of data. Why do HDD need to be “Defragmented” and what does that even mean? The physical process of storing data on a disk while it spins at high speeds involves storing information in different sectors. For the purpose of speed and usage, an HDD will store information in the most convenient manner for performance. Much like organizing a bookshelf, every time you copy or delete information, it’s a bit like adding and removing books. Eventually years of deleting and fragmenting will cause there to be a disorganized mess on the HDD. Defragmenting rearranges the data on an HDD to be more efficient, making the most commonly used information closer to each other. SSDs don’t generally get defragmented as they have limits on how much they can be written and read before being retired. Wait, RAM is memory and Hard Disk Drives have memory. Why aren’t they the same thing? It’s easier to think of the difference between RAM and hard disk space in terms of the human brain. RAM or Random Access Memory is extremely fast, similar to an SSD in fact, and pulls information live onto the RAM stick. This information acts closer to the short term memory or consciousness of human, I.E. imagine RAM as where your waking thoughts and imagination currently lie. Shutting down a computer resets the RAM and no data is actually stored, very similar to the waking mind sleeping. A hard disk drive is instead closer to that of long-term memory, where information is stored. When your computer needs information, it starts pulling it from the long-term memory and puts it into a cache (Or temporary RAM like storage space similar to short-term memory) so that it can be used. Because of this, increasing RAM increases the speed of a computer to an extent because it allows the computer to pull up more information and have it readily available. Once that limit is reached though, more RAM won’t make the computer faster or run better. I bought a new case but it doesn’t have a way to attach my SSD! As long as your SSD can attach to your motherboard, you’ll be fine. In fact, since there are no moving parts, it’s an incredibly durable device when it comes to movement. If you have a case without a place for putting your SSD, try buying an external housing bracket. They’re cheap and easy to install. We are so glad you came to us to find out which hard drive is best for you. As a gamer, switching over to an SSD might be one of the best choices you’ll make for your rig. We recommend giving it a shot as it makes loading times so much faster. If you’ve enjoyed this guide, please take a moment to like, comment, share, and subscribe. We love bringing you the latest guides on great gaming gear and technology. And if you’ve seen something you like, don’t delay! Click one of the links above and purchase something new for your rig! Until next time, good luck and game on.